Oh joy, my favourite job! 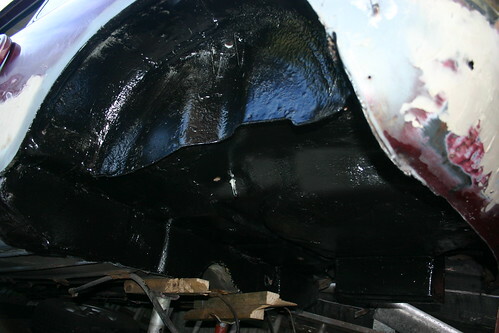 Painting the underside of the car and undersealing it, I hate it! Thankfully it wasn't too bad with two of us working on it, and now the underside is nice and black. We used the hammerite brushable underseal "with added waxoyl" to give it a bit of protection. It seemed a shame to underseal over the nice new paint, but since this car is going to be used I think it's worth it.